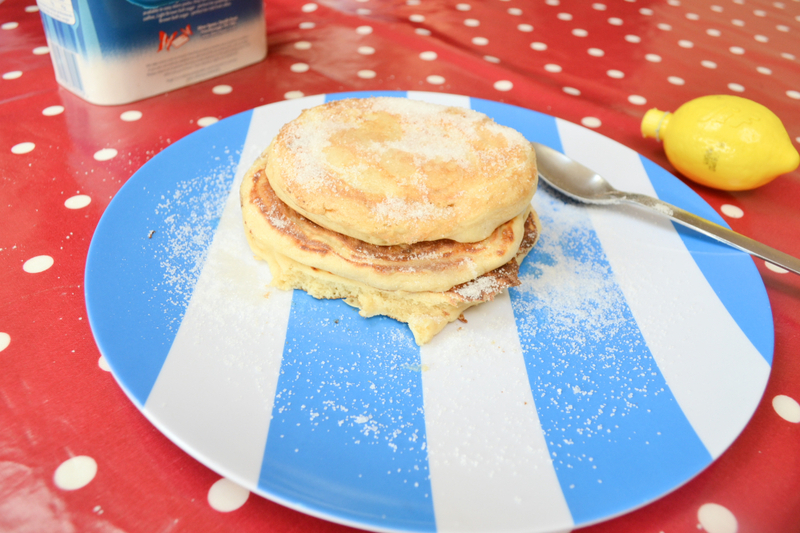 A few weeks ago before my trip to NYC I decided to get into the American mood and make myself some american pancakes. I’d never tried eating nor making them and I’m pretty chuffed with how they turned out! If you want to give it a go like me, I’ve written up a lovely little recipe for you to follow. It’s super simple! 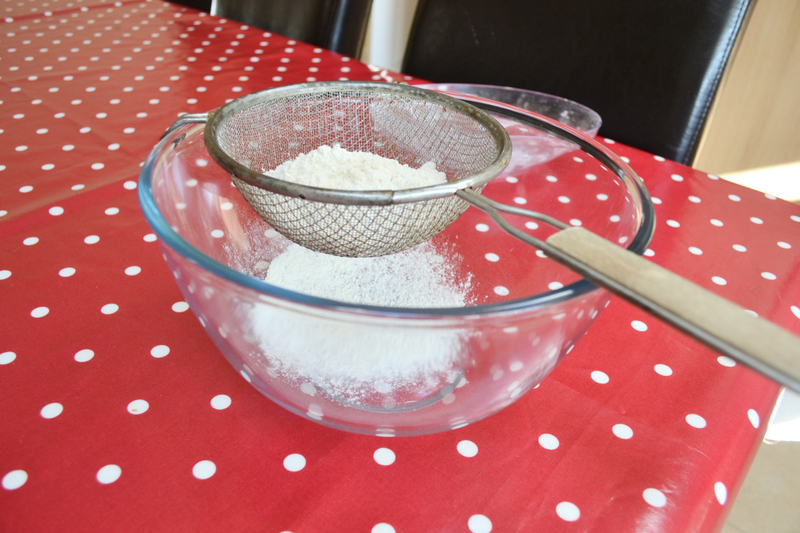 The first step is to seive both the baking soda and flour into a bowl, seiving will help it catch air to make your pancakes super fluffy! After this, add the milk, sugar and salt, as well as the yolk of the egg – keep the egg white in a seperate bowl. Mix the mixture until it forms a batter consitency. Next you want to whisk the egg white. 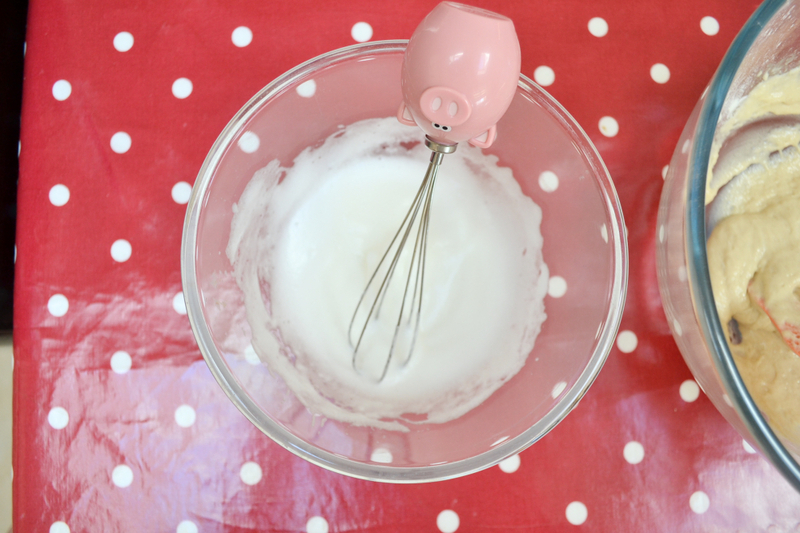 I decided to use this cute little whisk, although, if like me you lack in arm strength and stamina, use an electric whisk! Once it is stiff and forms peaks, begin to gently fold it into the batter. Heat up your pan, if it’s not non-stick chuck on a bit of butter first. 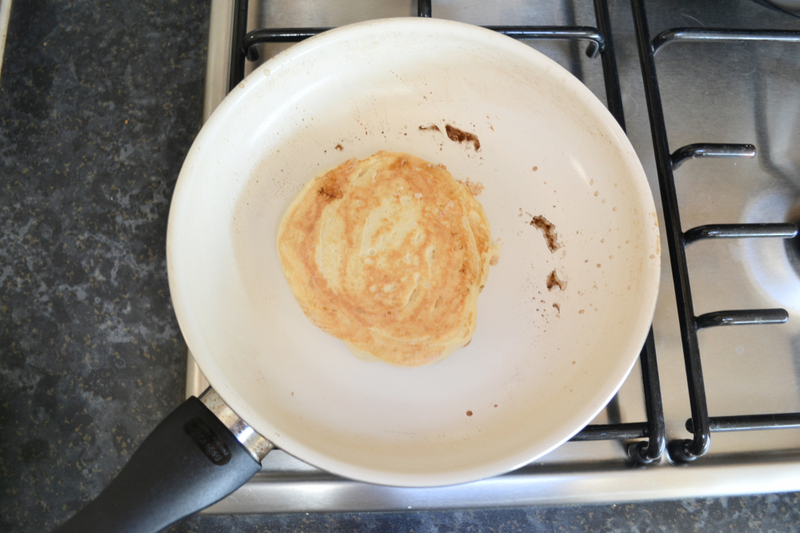 Scoop the batter into the pan, making the pancakes as big or small as you like! I managed to make 4 smaller sized ones. They don’t take long to cook at all so make sure you keep an eye on them. When they’re all done, stack them up and enjoy them with whatever toppings you choose!